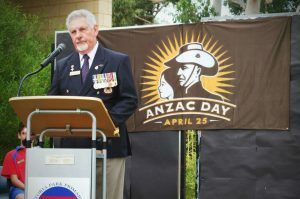 Each year at 6pm on the evening before ANZAC Day, the War Memorial Victoria Park RSL hosts a large gathering, including dignitaries, veterans and families, to commemorate ANZAC Day. Local cadet groups participate in the Catafalque party. 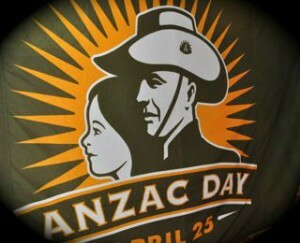 We also engage with local schools on ANZAC Day itself, teaching about the history of the ANZAC legend. 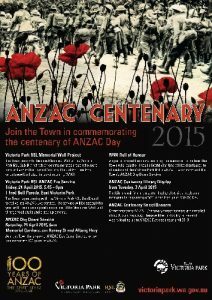 Victoria Park RSL Sub Branch and the Town of Victoria Park are partnering to deliver the ANZAC Eve Service as part of the Town’s program of activities concerning the nation’s celebration of 100 Years of ANZAC. 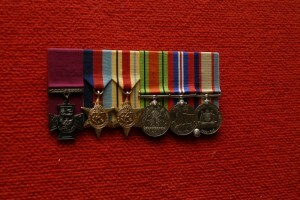 This year will also mark the unveiling of the new Memorial Wall, as part of our Living History project. 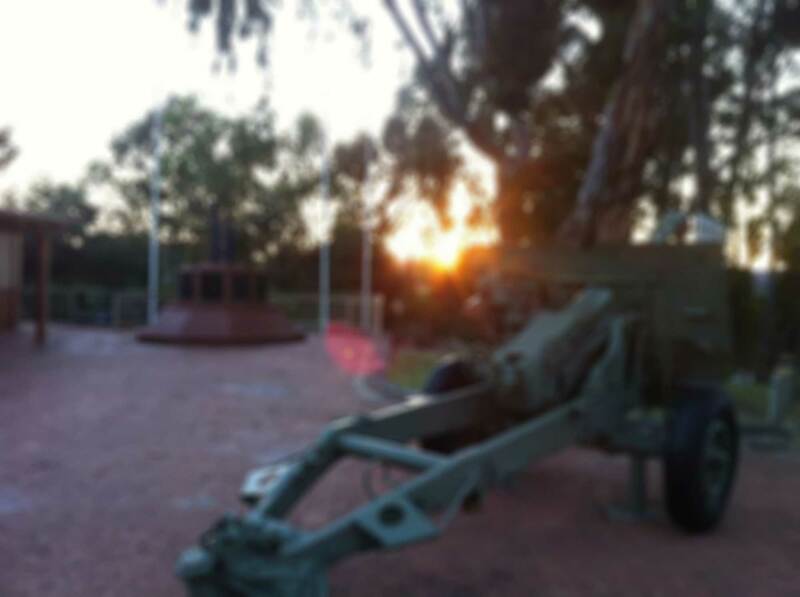 This year, we participated in memorial services at Millen, Victoria Park and East Victoria Park Primary Schools, Windsor Park Nursing Home, Harris Park Tennis Club, Gloucester Park remembrance trotting event as well as the dawn service conducted by the Town of Victoria Park. 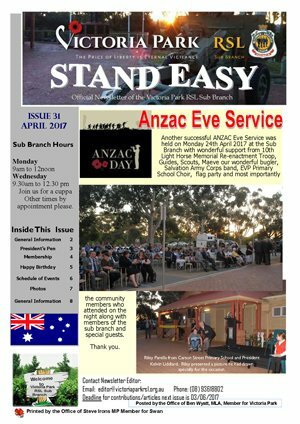 Our own ANZAC Eve Service continues to attract more and more members of the local community which is pleasing to us all. A very big thank you to the Naval cadets from the Gallipoli Squadron who provided the Catafalque party and support.